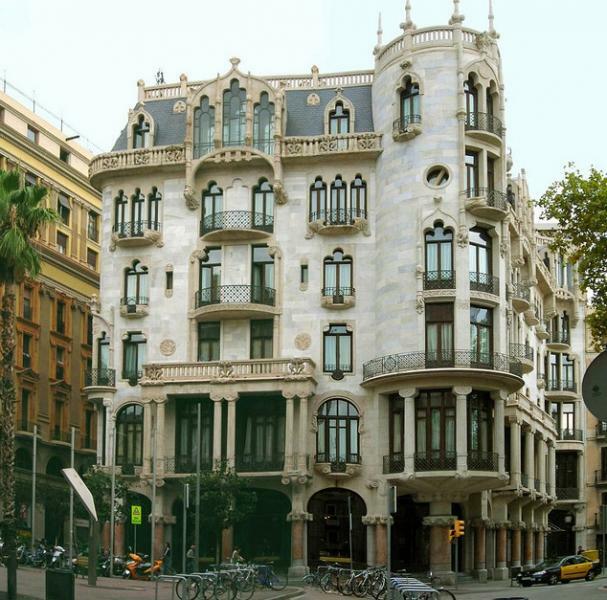 The beautiful Modernista Casa Fuster (1911) by Lluís Domenech i Montaner was the architect's last and most lavish private mansion, combining Neo-Gothic with an unusual French-style Mansard roof. Now a luxury hotel, it has been restored, topped by a stunning little rooftop pool overlooking the rooftops of Gràcia. Beware, however, that all the extras (like a drink by the pool) are insanely overpriced. Images by: Jordi D. A.